You know, it’s a crime Russian aerospace doesn’t evoke the same wonder as NASA. After all, it was the Russians who sent the first satellite and first man up in orbit. They also built a very durable, fully functioning orbital space station that lasted ages compared to the U.S.’s ill-fated SkyLab and to this day Russian rockets are still giving astronauts a lift to the ISS. That said, this bit of news we’re about to share is further evidence that a different kind of space race will be heating up in the coming decade. 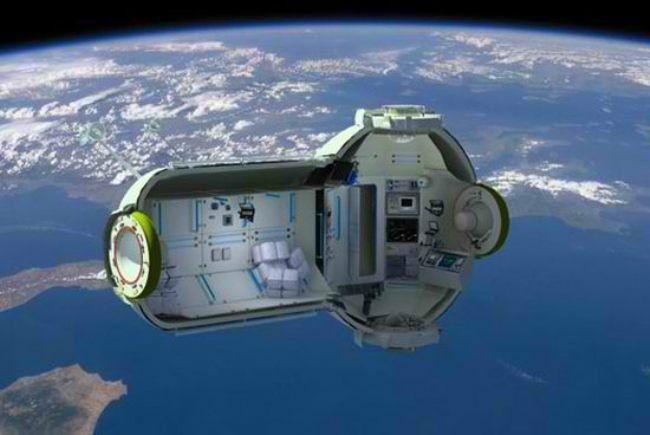 No less than two Russian aerospace companies have teamed up to bring a mini-space station up there for the paying rich, corporate researchers and anyone else who can afford the trip. Despite the up market orientation, judging by the pic above there’s not much luxury involved inside the capsule, which can fit seven warm bodies. The truth is, despite the romance it often inspires, space travel isn’t as glamorous as it’s made to appear. Take it from seasoned Russian cosmonauts who’ve often complained of depression and extreme loneliness (not to mention desperate longing for simple earth bound amenities) after extended stints in the dark yonder.